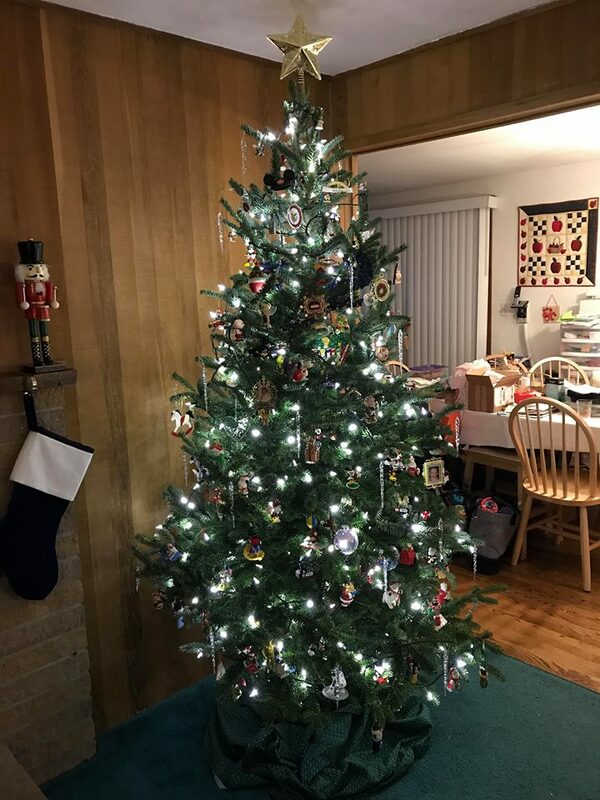 Here is our tree, in all its decorated glory. 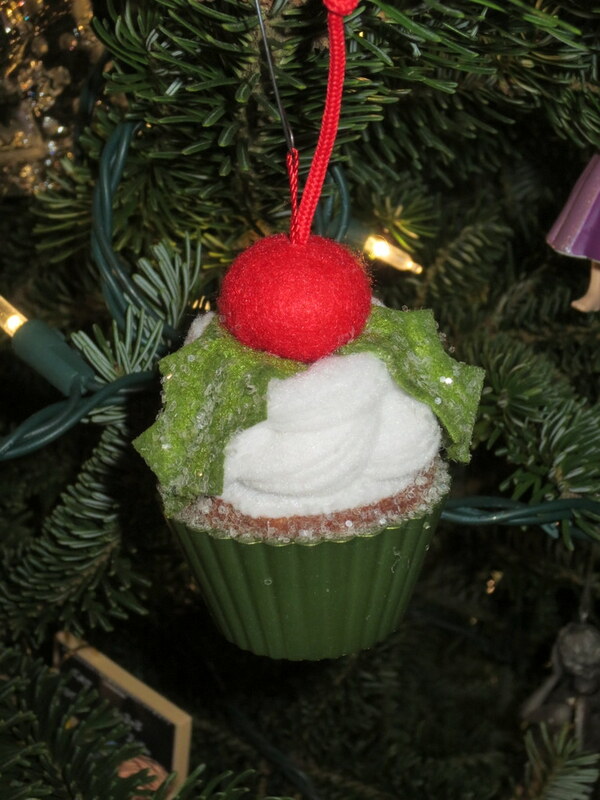 Each kid got their new ornament to hang on the tree (though Thumper could not even pretend to care about hanging ornaments in the least) as their first gift of the Christmas season. 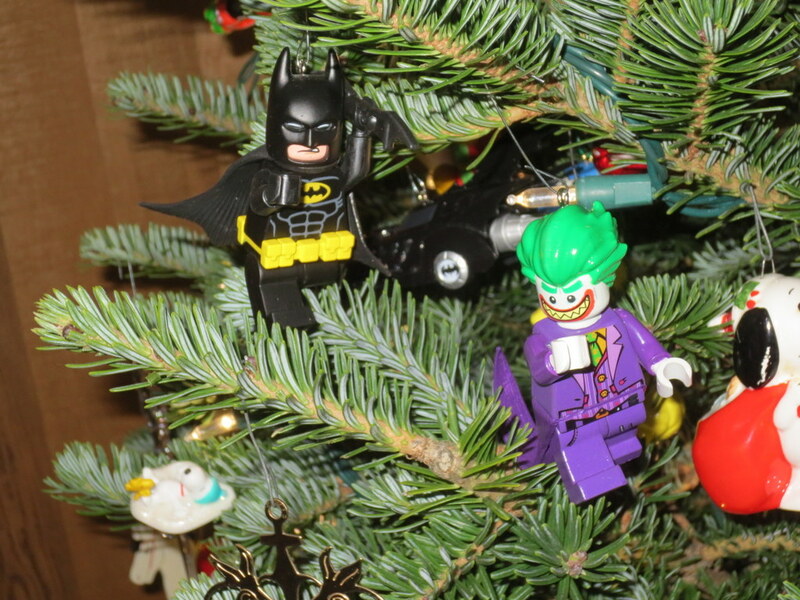 Tad got the LEGO Joker to go with his LEGO Batman… and he promptly set up a chase scene on the tree. 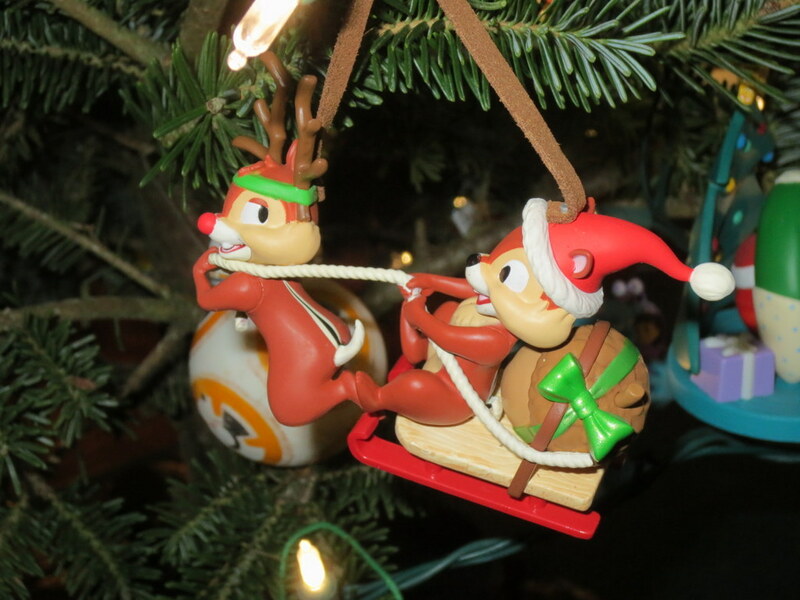 And Thumper got Chip and Dale – who he does know and like… he just doesn’t “get” tree decorating. 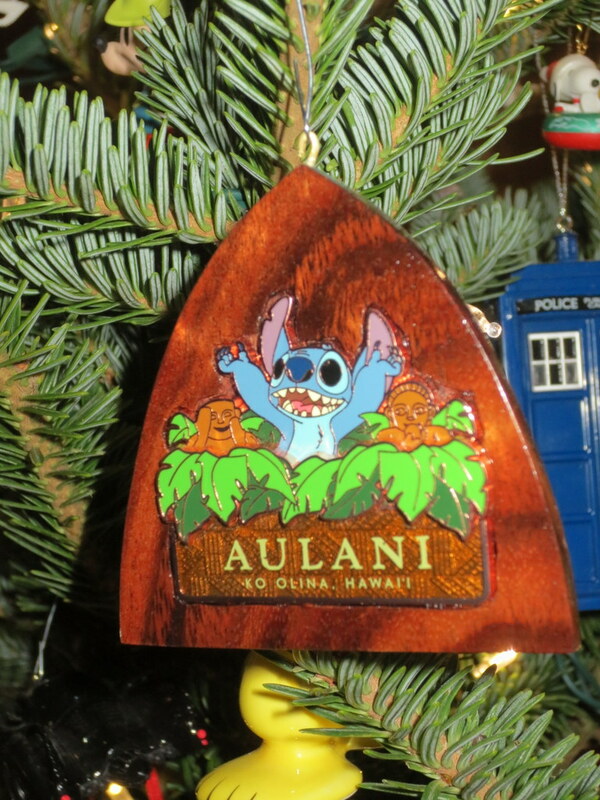 And I got this very special ornament, made by Gichan, with a souvenir pin that I picked up during our trip to Hawaii. 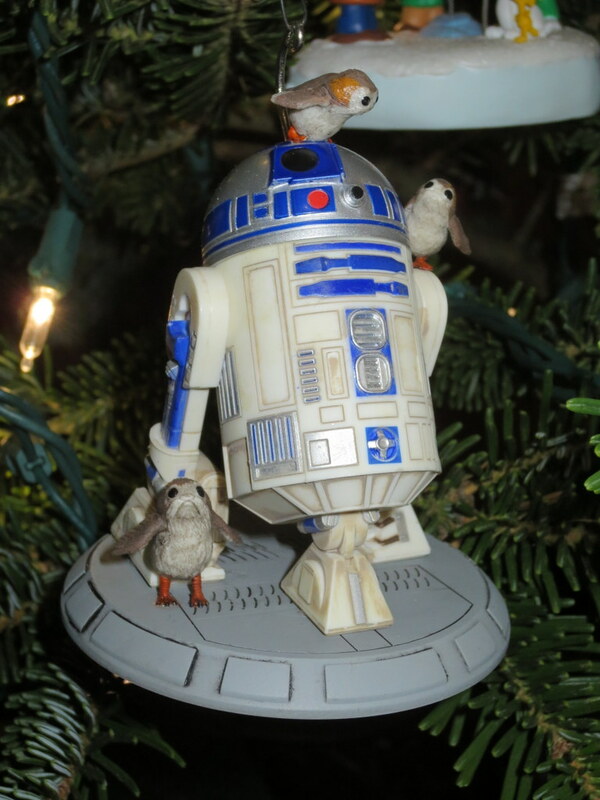 This entry was posted on Thursday, December 6th, 2018 at 12:34 am	and is filed under Children, Holidays.